Humanities Nebraska announced today that Lincoln attorney Robert Nefsky will receive the 2014 Sower Award in the Humanities. Nefsky will be honored on Wednesday, September 10,during a benefit dinner at the Embassy Suites in Lincoln, and again at the 19th annual Governor’s Lecture in the Humanities immediately following the dinner. The free public lecture will be held at the Lied Center for Performing Arts. Nefsky was nominated by Pamela Snow, the recently retired executive director of the Nebraska Cultural Endowment, and by Suzanne Wise, executive director of the Nebraska Arts Council. During the late nineties, Nefsky was part of a core group of community leaders who began working with members of the Nebraska Legislature to create a public-private partnership with the State of Nebraska to support the programs and projects of Humanities Nebraska (then known as the Nebraska Humanities Council) and the Nebraska Arts Council. Following its passage, Nefsky was instrumental in organizing the private non-profit partner, the Nebraska Cultural Endowment, and subsequently joined its board of directors as a founding member. In the years since, NCE has become a critical source of funding for arts and humanities programming in Nebraska, with millions of dollars distributed from the public fund (and matched by private donations) to benefit cultural and educational projects of all kinds throughout the state. 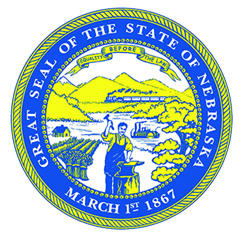 Nefsky has continued to play a key role in raising private funds and advocating for the partnership with the State to enhance the cultural life of Nebraska through this partnership. He also served on the boards of the Nebraska Humanities Council (1992-97, chair in 1995-96) and Nebraska Foundation for the Humanities (1993-2001, president during 1997-2000). Nefsky’s other past volunteer work related to the arts and humanities includes serving as founding director of the Friends of the Sheldon Film Theater (now the Mary Riepma Ross Media Arts Center) and on the E.N. Thompson Forum on World Issues’ program committee. He has also served on the boards of Public Radio Nebraska Foundation (now NET Foundation for Radio) and the Nebraska Art Association (now the Sheldon Art Association). His current volunteer board service includes the Bryan Foundation, Camperships for Nebagamon, the Cooper Foundation, the Mid-America Arts Alliance, and the Nebraska Arts Council, which he currently chairs. A partner of Rembolt Ludtke LLP, Nefsky earned a BA in 1973 from the University of Pennsylvania and his Juris Doctor from the University of Nebraska with distinction in 1977. He was elected “Lincoln Best Lawyers Corporate Law Lawyer of the Year” in 2012. HN annually honors individuals, institutions, businesses or communities with its Sower Award, based on nominations and letters of support from Nebraska citizens. The Sower Award is an original bronze sculpture by Nebraska-born artist Sandra Dunn Mahoney. The 19th Annual Governor’s Lecture in the Humanities is free and open to the public. Tickets for the September 10 pre-lecture benefit reception and dinner, including presentation of the Sower Award, will be available for purchase August 1. Call 402-474-2131 for more information.